The recent sale of Vietti to American investor Kyle Krause is one of the most shocking events I have seen in twenty years of visiting Piedmont and nearly thirty years of buying and drinking Vietti wines. For decades, Vietti has marketed itself as the standard bearer of artisan Piedmontese values – multi-generational family ownership, tradition and an attachment to the land. The question is: What does Vietti, and more broadly, Piedmont, stand for today? For decades, wine lovers have been fascinated by the Langhe because, like Burgundy, it is one of the few regions in the world where wines are made by growers operating artisan estates that have been in their families for generations. The link with the land, the connection to the producer and the underlying humanity of the wines is precisely what makes them so special. When that connection no longer exists, the wines are less unique from what is available elsewhere. It’s as simple as that. To be honest, at times I am not sure the Piedmontese themselves fully understand or appreciate what they have. Vietti traces its history back to the late 1800s, but the modern-day era begins in 1960, when Luciana Vietti and her husband Alfredo Currado (who she married in 1957) took over the family domaine. The Currados had three children; Luca, Emanuela and Elisabetta. Luca Currado is the current CEO and winemaker. Daughter Emanuela married Mario Cordero, who heads up marketing, while Elisabetta is not involved in the business. When Luciana Vietti and Alfredo Currado retired in 2000, Luca Currado and Mario Cordero bought the business, which they have continued to operate with the help of Luca’s wife, Elena, and other family members and staff. Earlier this month, Currado and Cordero announced that they had sold Vietti, along with all of the estate’s vineyards and the historic cellar in Castiglione Falletto, to American businessman Kyle Krause. A long time Barolo lover and Italophile with Sicilian roots, Krause tried unsuccessfully to purchase the Arione vineyard in Serralunga before buying the Enrico Serafino winery from Campari last year. The sudden sale of Vietti, after what appears to have been a very quick courtship, continues to send shockwaves through the wine world. It was long believed that Piedmontese farmers and producers would never sell to outsiders because the locals are famously inward and any such sale would be viewed negatively. Well, today’s generation of Piedmontese owners is much more global in outlook. The Vietti sale will surely open the doors to more similar transactions. Right now, Russian oligarchs, French luxury goods firms, Asian investors and American conglomerates are among the many suitors knocking on doors looking for wineries to buy in Piedmont. And producers? They are thrilled with the news. Property values continue to go up and increased foreign investment will create more avenues for further exits at higher valuations in the future. Let me be clear: I am not against foreign investment in Piedmont. Far from it. There are several wineries that really should be sold because the owners are older, have health issues, don’t have heirs and/or are severely undercapitalized. None of these factors seem to apply to Vietti. Only the Currado and Cordero families know their reasons for selling. Ultimately, their decision needs to be respected, even if it is unprecedented in nature. The sale of the vineyards is especially of note considering that Alfredo and Luciana Currado toiled for decades to rebuild the family holdings that previous generations had lost. Piedmont is often compared to Burgundy, but it’s hard to imagine a historic Burgundian family selling a world-class winery and all of their vineyards to an outside investor. Leaving aside exceptional circumstances like Domaine René Engel (today Domaine d’Eugénie) this has not happened yet, although growers in Burgundy have to deal with their own challenges, the most important of which are Draconian inheritance laws that are a continual strain on families. What I can tell you is what I am seeing all over Italy. I say that because, as much as I find the Vietti sale a huge disappointment, ultimately Vietti is a symptom of a far more serious cancer that threatens to destroy family run wineries. Specifically, people are tired of fighting against an increasingly bureaucratic environment. I lived and worked in Italy fifteen years ago. It was hard then, but it is much harder now. Making wine is tough work. It is a constant struggle against the whims of nature. And selling wine is even more challenging than making it. As I have written here before, generational succession is one of the greatest dangers to the future of Piedmont’s artisan estates. All too often, today’s younger generation want to wear the latest in haute couture, drive nice cars and travel the world first class. They have no idea what it means to prune a vine, rack barrels, go to sleep at night during harvest with the sound of rain on the roof or fight to make ends meet. The struggles of their parents and grandparents are largely fading memories. To be fair, this is not an unusual situation in society at large, but wealth and economic prosperity are relatively new to many wine producing regions. Piedmont is one of them. Over the last thirty years, the wine business has transformed from an industry of semi-lifestyle, family-run companies to a global industry that attracts increasingly huge capital. Growers are good at farming and making wine, but very few of them are prepared, or perhaps even interested in, acquiring the business skills that are essential for survival today. For example, one of the things that needs to happen in family owned wineries is a greater separation between ownership and control, as is common in other businesses. Lastly, as property prices and estate valuations soar, families are often ripped apart by differing priorities for the future. I don’t know to what extent, if any, these factors played a role here, but you can be sure there are a number of estates in Piedmont, some of them very high in profile, that are going to be sold in the near future for these exact reasons. Luca Currado and Mario Cordero, both of them savvy, are convinced this move is the best decision they could have made for the winery’s future. Aside from being a highly successful businessman, Kyle Krause is passionate, charming and driven. He also clearly has the means to pursue his vision. Krause told me he hopes both Currado and Cordero will work the rest of their careers at Vietti. Cordero is close to retirement age as it is, but Currado is only in his mid-40s, so that is a long ways out. Currado intends to use the best of the Enrico Serafino vineyards to boost the Perbacco and Barolo Castiglione bottlings. Although there is always room for improvement in anything, the reality is that those wines are already among the very best in their respective categories. How much better can they be? Currado adds that there may be new vineyard-designates in the winery’s future. That is an intriguing proposition. In addition to the vineyards that inform the Barolo designates, Vietti also vinifies (or has vinified in the recent past) fruit from a number of sites that many producers bottle separately, including Bricco Fiasco, Ciabot Berton, Fossati, Ravera di Monforte, Bricco Boschis, Ginestra, Mosconi, Liste, Brunella and Pernanno, all for their Nebbiolo Perbacco and Barolo Castiglione. Who wouldn’t like to see a Barolo Mosconi, Ginestra, Bricco Fiasco or Scarrone from Vietti? Over the years, I have had a chance to taste numerous wines from barrel that ultimately end up in the Perbacco and Barolo Castiglione blends. When I have asked Currado why some of these parcels aren’t bottled separately the answer has always been the same: the sites are not consistent enough from year to year to merit vineyard designated bottlings. It will be interesting to see if anything changes in that view going forward. Luca Currado insists that in the face of spiraling land costs, Vietti needed to solidify their estate holdings, which required a significant amount of new capital. That is certainly understandable. But the winery could have sought a partner to fund new vineyard purchases (as several high profile domaines have done recently in Burgundy), or taken on a minority partner for the entire business. Selling everything to an investor is an extreme, unprecedented step. Mario Cordero cites Châteaux Margaux and Louis Jadot as role model wineries. Neither has anything to do with Vietti, but the intent is clear. Today, Vietti is a high-quality winery with massive commercial aspirations that is entirely owned by an outside investor. That does not mean quality will drop or that the wines will change, but the sense of purpose and the historical narrative at Vietti have most certainly changed. One of the most troubling aspects of the sale is that Currado and Cordero have retained no equity at all. The signal that sends is that the sellers want to be completely out of the business and/or do not believe their company will be worth more in the future than it is today. Of course, different people are motivated by different things, but the change from owner to employee with no future upside is perplexing. Typically in a scenario like this one, senior management retains some ownership, which serves to align interests. So, why would Vietti, one of the bastions of tradition in Piedmont, sell everything? Distress of some sort? I doubt it, and I hope not. As always, in family operated businesses, ownership is divided among several people. Perhaps there were differing views on how to manage the future. More likely, though, the purchase price was a very big number, perhaps in excess of the €50m ($55m) figure that was reported in the Italian press last week. Looking at recent transactions such as François Pinault’s Artemis Group’s purchase of Araujo Estate in 2013 as a comparable, I would not be surprised if the number for Vietti was quite a bit higher than what has been reported. Obviously, at these levels, prices are not really driven by land values or case productions, but rather by perceived brand value, the potential for synergies, and, ultimately, how much the buyer is willing to pay. As for the Currado and Cordero families, their new reality is inescapable. Once owners of one of Piedmont’s most revered, historic estates and plots in some of Piedmont's most pedigreed vineyards, they have now joined the ranks of Krause’s approximately 4,000 employees. I can only hope they got a very big check. It is hardly a secret that land prices have been on the rise in Piedmont. This rapid appreciation has made top quality vineyards virtually unaffordable for all but the wealthiest of families. At some point, it is likely vineyards will essentially be out of reach for the locals. This phenomenon is at times been referred to the “Burgundization of Piedmont” but in reality the same situation applies to all regions around the world where high quality wines are made. In Burgundy, growers have reacted by taking on financial partners who buy vineyards that the growers then farm. Some domaines have minority partners. It is important to note that while there is an increase of outside investor capital in Burgundy, the region is also home to growers who have fought to rebuild their family holdings. Frédéric Mugnier and Louis-Michel Liger-Belair come to mind. Listen to either of them talk about their family histories and the land that previous generations lost for various reasons and it is clear those events remain deep and open wounds. The land is everything. What has happened at Vietti has nothing to do with Burgundy whatsoever. An attempt to draw that comparison is simply designed to retain an artisan image with the public. If Vietti simply needed capital to finance expansion and/or acquisitions they could have gotten it from any number of sources, but the family ultimately chose a different path. The new Vietti model is actually very similar to what we have seen in Bordeaux where owners sold but stayed on as managers at properties such as Haut-Brion and Haut-Bailly, both of which are at the very top of the quality ladder. Simply put, Luca Currado is Vietti. I am often asked why Vietti has been so successful in marketing their wines and placing them in all the top restaurants in the US. The answer is simple. No one has hit the road with a greater sense of purpose than Currado, who travels a good 6-7 months a year, while his wife, Elena, keeps her own busy schedule of marketing commitments, just as Alfredo Currado and Luciana Vietti did before them. Consumers and the trade buy the wines because they are reliably outstanding and because Currado is an immensely likable, charming producer who has taken the time to cultivate deep relationships with influencers and thought leaders at all levels of the business. Will Currado want to spend that much time on the road as an employee? Hopefully Krause has taken out a big key man insurance policy on Currado and tied him down to a long-term contract. By long-term, I mean at least ten years. Consider that the Barolos Currado makes this year, in 2016, will be released only in 2020, so, if, for example, Currado has a three-year deal, he could be gone before the 2016s are even released. Nebbiolo is a very hard grape to farm and vinify. The number of vintages it takes to go from world-class to mediocre is exactly one. 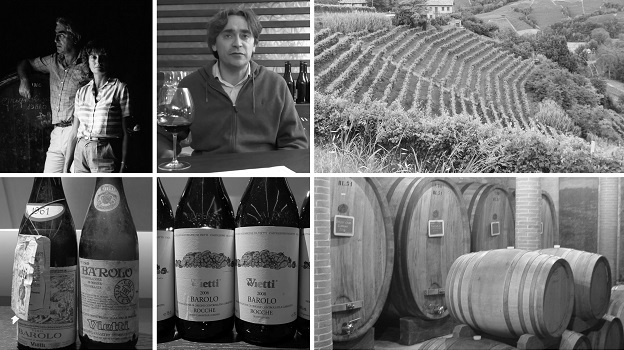 Bruno Giacosa and Domenico Clerico are case studies. It is inconceivable that Krause would risk his investments in Piedmont by not having secured the future. I have little doubt the quality of Vietti wines will continue to be high. Over the last decade, few producers in Piedmont have achieved a level of consistent brilliance on a par with Vietti. Of course, a number of recent vintages have been absolutely stellar including 2004, 2005, 2006, 2007, 2008 and 2010, but it is Vietti’s showing in more challenging years such as 2009, 2011 and 2012 that speaks volumes about Luca Currado and his team. Additionally, Currado will have a huge chip on his shoulder to show he can deliver superb quality under the new ownership structure. Ultimately, the wines will speak for themselves. We will soon start to see the results, because Currado will begin making wine from all the Krause sites this year. The one area where Vietti could look more like a Burgundian domaine in the future is in its range of wines. Over the last few years, Kyle Krause has shown an admirable determination to get what he wants. Yes, he lost out on Arione, but only because he ran into the only person in Piedmont who could have competed for that specific piece of land. He likely won’t face that obstacle again. Ultimately, investors want to make a return. I can very much envision a future where the Perbacco is Vietti’s ‘Bourgogne rouge,’ the Barolo Castiglione is the ‘villages’ and a portfolio of ten or more single-vineyard Barolos form the core of the range. Piedmont has never been able to combine scale with quality, but Krause has the means and team to make it happen. One of the big advantages Piedmont has over Burgundy is that production for single wines is much higher. At that point, the biggest issue will be selling the wines, but Krause can take care of that too. He then could take the bulked up Vietti business, market it globally and then sell it to a big conglomerate for a multiple of the original purchase price. It’s not a far-fetched scenario. Anyone who tells you nothing has changed is delusional. Everything has changed. Forever. This sale opens the door for further acquisitions, which will in turn drive up land prices further and ultimately make wines more expensive, all while widening the gap between truly artisan, family-owned wineries and more corporate estates with deep pockets. Of course, some of the region’s newfound prosperity could be a positive, if handled properly. Today, though, Piedmont feels a little less special than it used to. Per decenni gli amanti del vino sono rimasti affascinati dalle Langhe perché, come la Borgogna, e una delle poche regioni al mondo dove i vini sono ancora fatti dai contadini che lavorano in aziende artigianali di proprietà delle loro famiglie da generazioni. Il legame con la terra, il rapporto con il produttore e l’aspetto umano rimangono alla base dei vini e ciò li rende precisamente così speciali. Quando questo rapporto viene a mancare i vini sono meno unici rispetto a quello che si può trovare altrove. È così semplice. Onestamente, a volte non sono sicuro che i piemontesi stessi capiscano o apprezzino interamente quello che hanno. L’origine della storia della cantina Vietti risale alla fine del 1800, ma l’era moderna inizia nel 1960 quando Luciana Vietti e suo marito Alfredo Currado, sposato nel 1957, rilevarono la proprietà di famiglia. I Currado ebbero tre figli, Luca, Emanuela ed Elisabetta. Luca Currado è l’attuale amministratore delegato (AD) ed enologo. La figlia Emanuela sposò Mario Cordero, che è attualmente responsabile della commercializzazione, mentre Elisabetta non è coinvolta nell’attività. Quando nel 2000 Luciana Vietti ed Alfredo Currado andarono in pensione, Luca Currado e Mario Cordero comprarono l’azienda, continuando a gestirla con l’aiuto della moglie di Luca, Elena, ed altri membri della famiglia oltre che al personale. All’inizio di questo mese, Currado e Cordero hanno annunciato la vendita dell’azienda Vietti all’investitore Americano Kyle Krause, compresi i vigneti di proprietà e le cantine storiche di Castiglione Falletto. Krause da lungo tempo amante del Barolo e dell’Italia, con origini Siciliane, l’anno scorso prima di acquisire dalla Campari l’azienda vinicola Enrico Serafino, cercò di acquistare senza successo il vigneto Arione a Serralunga. L’improvvisa cessione di Vietti, dopo quello che sembra essere stato un breve corteggiamento, continua a scioccare il mondo del vino. In passato, si è sempre creduto che i viticoltori e produttori piemontesi, notoriamente di indole introversa, non avrebbero mai venduto ad investitori stranieri perché questo tipo di vendita sarebbe vista negativamente. Bene, la generazione di oggi di proprietari piemontesi ha un’ottica più globale. La cessione di Vietti aprirà sicuramente le porte ad altre simili transazioni. Oligarchi russi, aziende francesi di beni di lusso, investitori asiatici e fondi di investimento americani sono proprio ora tra i molti pretendenti che bussano alle porte di aziende vinicole piemontesi, cercando di comprarle. E i produttori? Sono entusiasti di queste novità. Il valore delle proprietà continua a salire e l’aumento degli investimenti stranieri creerà in futuro più opportunità per ulteriori cessioni ad alti prezzi. Permettetemi di essere chiaro, non sono contro gli investimenti stranieri in Piemonte. Lontano da tutto ciò. Ci sono molte aziende vinicole che avrebbero realmente la necessità di essere vendute in quanto i proprietari sono anziani, hanno problemi di salute, non hanno eredi e/o sono severamente sotto-capitalizzate. Nessuno di questi fattori sembra essere il caso di Vietti. Solamente le famiglie Currado e Cordero conoscono le motivazioni che li hanno portati alla vendita. Alla fine, la loro decisione ha bisogno di essere rispettata, anche se di natura eccezionale. Di particolare interesse è la cessione dei vigneti, considerando che Alfredo e Luciano Currado lottarono per decenni per cercare di recuperare i terreni che storicamente erano proprietà di famiglia e che le generazioni precedenti avevano perso. Il Piemonte viene spesso paragonato alla Borgogna, ma è difficile immaginare un storica famiglia della Borgogna vendere un’azienda di livello mondiale con tutti i loro vigneti ad un investitore straniero. Tralasciando circostanze speciali come Domaine René Engel (oggi Domaine d’Eugénie) questo non è ancora accaduto, anche se i coltivatori in Borgogna vivono sotto la costante minaccia dalle draconiane leggi ereditarie. Quello che vi posso dire è quello che alla fine noto in tutta Italia. Lo dico perché, tanto quanto trovo la vendita di Vietti una grande delusione, quanto alla fine Vietti rappresenta un sintomo di un cancro molto più serio che minaccia la fine delle aziende vinicole a conduzione famigliare. In modo particolare, i produttori sono stanchi di combattere contro il continuo aumento della burocrazia. Ho vissuto e lavorato in Italia quindici anni fa. Era difficile allora, ma è molto più duro adesso. Fare vino oggi rimane un lavoro difficile perché è una lotta costante contro i capricci della natura. Ma vendere il vino è ancora più difficile che produrlo. Come ho scritto qui in precedenza, il ricambio generazionale è una delle maggiori minacce per il futuro delle aziende piemontesi a conduzione famigliare. Troppo spesso, la generazione più giovane vuole vestire all’ultima moda, guidare macchine veloci e viaggiare per il mondo in prima classe. Non hanno idea di come potare una vite, travasare una botte, andare a dormire la notte durante la vendemmia con il rumore della pioggia sul tetto o combattere per sbarcare il lunario. Le lotte dei loro genitori e dei loro nonni sono ricordi che si stanno in gran parte dissolvendo. Per essere giusti, nella società in generale, questa non è una situazione inusuale, ma ricchezza e prosperità sono relativamente una novità per molte regioni vinicole. Il Piemonte è una di queste. Negli ultimi trent’anni il business del vino si è trasformato da uno stile di vita per le aziende a conduzione famigliare, a un’industria globale che attrae enormi capitali. Gli agricoltori sono bravi a coltivare e a fare vino, ma molto pochi sono preparati o forse anche interessati ad acquisire la conoscenza del business necessario per sopravvivere oggi. Per esempio, nelle aziende a conduzione famigliare ci sarebbe bisogno di una maggiore separazione tra la proprietà ed il controllo, come è comune in altri settori. Per ultimo, come i prezzi delle proprietà e le valutazioni delle tenute si stanno alzando, le famiglie rimangono spesso lacerate al loro interno da visioni per il futuro o priorità divergenti. Non so se ed eventualmente in quale misura, alcuni di questi fattori abbiano giocato un ruolo nel caso “Vietti”, ma potete star sicuri che diverse tenute di alto profilo in Piemonte (e altrove) saranno vendute nel prossimo futuro per queste stesse ragioni. Luca Currado e Mario Cordero, entrambi molto intelligenti, sono convinti che questa mossa sia stata la decisione migliore che avrebbero potuto prendere per il futuro dell’azienda. A parte essere un uomo d’affari di successo, Kyle Krause è un uomo appassionato, affascinante e determinato. Chiaramente ha i mezzi per perseguire la sua visione. Krause mi dice di auspicarsi che Currado e Cordero continueranno e termineranno la loro carriera con Vietti. Cordero è vicino al pensionamento, ma Currado è solamente alla fine dei quarant’anni, perciò ha ancora molta strada davanti a se. Currado intende usare i migliori vigneti della Enrico Serafino per migliorare il Perbacco e il Barolo Castiglione. Nonostante in qualsiasi cosa ci sia sempre spazio per migliorare, la realtà è che quei vini sono già tra i migliori nelle loro rispettive categorie. Quanto meglio possono essere? Currado aggiunge che nel futuro dell’azienda ci potrebbero essere nuovi vini fatti da crù. Questa è un’affermazione intrigante. Oltre ai vigneti che costituiscono i crù di Barolo, Vietti vinifica anche, o ha vinificato in passato, uve da un numero di siti che molti produttori imbottigliano separatamente, inclusi Bricco Fiasco, Ciabot Berton, Fossati, Ravera di Monforte, Bricco Boschis, Ginestra, Mosconi, Liste, Brunella e Pernanno, tutti per il loro Nebbiolo Perbacco e Barolo Castiglione. A chi non piacerebbe vedere un Barolo Mosconi, Ginestra, Bricco Fiasco o Scarrone “Vietti”? Negli anni, ho avuto la possibilità di assaggiare da botte numerosi vini che alla fine sono andati a far parte dei tagli di Perbacco e Barolo Castiglione. Quando ho chiesto a Currado perché alcuni di questi appezzamenti non fossero stati imbottigliati separatamente la risposta è sempre stata la stessa: “questi vigneti non sono abbastanza costanti di anno in anno per meritare un imbottigliamento singolo.” Sarà interessante vedere se in futuro qualcosa cambierà da questo punto di vista. Luca Currado insiste che di fronte all’aumento del costo della terra, Vietti aveva bisogno di solidificare il suo patrimonio, e ciò richiedeva una significativa quantità di nuovo capitale. Questo è certamente comprensibile, ma l’azienda avrebbe potuto cercare un partner per finanziare nuove acquisizioni di vigneti (come diverse proprietà di alto profilo hanno fatto in Borgogna), o acquisire un partner minoritario per l’intero business. Vendere tutto ad un investitore è un passo radicale e straordinario. Mario Cordero cita Châteaux Margaux e Louis Jadot come modelli di aziende vinicole. Nessuna di queste ha a che vedere con Vietti, ma l’intenzione è chiara. Oggi Vietti è un’azienda di alta qualita’ con grosse ambizioni commerciali che è posseduta interamente da un investitore straniero. Questo non significa che la qualità diminuirà o che i vini cambieranno, ma lo scopo e la storia di Vietti sono certamente mutate. Uno degli aspetti più preoccupanti della vendita è che Currado e Cordero non hanno mantenuto affatto alcuna azione. Il segnale che ciò manda è che il venditore vuole essere completamente fuori dal business e/o non crede che la sua attività possa valere di più in futuro rispetto ad oggi. Naturalmente, diverse persone sono motivate da cose diverse, ma il cambio di stato da proprietario a dipendente, senza beneficio futuro, lascia perplessi. Tipicamente in uno scenario come questo, la dirigenza ritiene una parte della proprietà, per assicurare che gli interessi futuri siano sulla stessa linea. Allora, perché Vietti, uno dei paladini della tradizione Piemontese, ha voluto vendere tutto? Per qualche particolare bisogno? Ne dubito, e spero di no, da nessuno. Come sempre, in attività di tipo famigliare, la proprietà è divisa tra diverse persone. Forse c’erano diversi punti di vista per la gestione del futuro aziendale. È più plausibile che il prezzo di vendita fosse molto alto, forse in eccesso dei €50m ($55m) riportati dalla stampa Italiana la scorsa settimana. Paragonandola a recenti transazioni come quella di François Pinault di Artemis Group nell’acquisto di Araujo Estate di Napa Valley nel 2013, non sarei sorpreso se la cifra per Vietti fosse stata molto più alta di quello che è stato riportato. Ovviamente, a questi livelli, i prezzi non sono realmente guidati dal valore della terra o dalla produzione, ma piuttosto dalla percezione del valore del marchio, dal potenziale per le sinergie ed alla fine da quanto il compratore è intenzionato a pagare. Per quanto riguarda le famiglie Currado e Cordero, la loro nuova realtà è inevitabile. Una volta proprietari di una delle tenute più venerate e storiche del Piemonte con vigneti per la maggior parte nelle zone di prestigio piemontesi, si sono ora aggregate ai ranghi dei quasi 4000 dipendenti di Krause. Posso solo sperare che abbiano ottenuto un assegno molto grosso. Non è più tanto un segreto che il prezzo della terra è in salita in Piemonte. Il rapido apprezzamento ha fatto sì che i vigneti di alta qualità siano accessibili solamente alle famiglie più ricche. Ad un certo punto, sarà molto probabile che i vigneti saranno al di fuori delle possibilità finanziarie della gente del luogo. Questo fenomeno è a volte chiamato come la Borgognizzazione del Piemonte, ma in realtà la stessa situazione si applica a tutte le regioni del mondo dove vengono prodotti vini di qualità. In Borgogna, i produttori hanno reagito alleandosi a finanziatori che comprano i vigneti che poi gli agricoltori stessi coltivano. Alcune aziende hanno ceduto a nuovi soci quote di minoranza. È importante notare che mentre in Borgogna c’è un incremento degli investimenti in capitali da parte di stranieri, la regione è anche casa di coltivatori che hanno combattuto per ricostruire le proprietà delle loro famiglie. Vengono in mente Frédéric Mugnier e Louis-Michel Liger-Belair. Ascoltateli parlare delle storie delle loro famiglie e della terra che le generazioni precedenti persero per varie ragioni ed è chiaro che questi eventi rappresentano profonde ed ancora aperte ferite. La terra è tutto. Quello che è accaduto a Vietti ha niente a che vedere con la Borgogna. L’intenzione in questo paragone è quello di continuare a mantenere semplicemente un’immagine artigianale con il pubblico. Se Vietti avesse avuto bisogno di capitale per finanziare l’espansione e/o l’acquisizione di nuovi vigneti, avrebbero potuto ottenerlo da un numero diverso di fonti, ma la famiglia alla fine ha scelto una strada diversa. Effetivamente il nuovo modello Vietti è molto simile a quello che abbiamo visto accadere a Bordeaux dove i proprietari hanno venduto tutto rimanendo all’interno delle aziende con la figura di dirigenti come per Haut-Brion e Haut-Bailly, entrambe di alta qualità. Detto molto schiettamente, Luca Currado è l’azienda Vietti. La gente mi chiede spesso perché Vietti ha avuto così tanto successo nel commercializzare i suoi vini riuscendo ad inserirli in tutti i migliori ristoranti negli USA. La risposta è semplice. Nessuno si è messo in viaggio con un tale fine più di Currado, che viaggia buoni 6-7 mesi all’anno, mentre anche sua moglie Elena, mantiene fitto il suo calendario di impegni commerciali, come Alfredo Currado e Luciana Vietti fecero in passato. I consumatori e l’industria di settore compra i vini perché sono costantemente eccezionali e perché Currado è una persona immensamente piacevole, affascinante e che ha speso del tempo per coltivare profonde relazioni con numerose persone influenti di riferimento a tutti i livelli del settore. Avrà Currado ancora voglia di spendere tutto quel tempo in viaggio da dipendente? Speriamo che Krause abbia fatto una buona assicurazione sulla vita di Currado e lo abbia legato a sè con un contratto a lungo termine. Per lungo termine, intendo almeno dieci anni. Considerate che i Barolo che Currado farà quest’anno, nel 2016, usciranno solo nel 2020, allora se per esempio, Currado avesse un contratto di tre anni, lui se ne potrebbe essere andato prima che i 2016 escano sul mercato. Il Nebbiolo è una varietà difficile da coltivare e vinificare. Il numero di vendemmie che ci vogliono per passare da un livello mondiale ad uno modesto è esattamente uno. Bruno Giacosa e Domenico Clerico ne rappresentano due casi. È inconcepibile che Krause rischiasse il suo investimento in Piemonte non avendo prima assicurato il futuro. Ho pochi dubbi che la qualità dei vini di Vietti continuerà ad essere alta. Nell’ultimo decennio, pochi produttori in Piemonte hanno raggiunto un livello di costante ingegnosità come Vietti. Naturalmente, un numero di annate recenti sono state assolutamente stellari, compreso il 2004, 2005, 2006, 2007, 2008 e 2010, ma la dimostrazione del valore di Vietti sta nelle annate più difficili come il 2009, 2011 e 2012 che dicono tutto su Luca Currado ed il suo team. Per di più, Currado avrà un’enorme peso sulle sue spalle per dimostrare alla nuova proprietà che può realizzare una qualità altissima. Alla fine, i vini parleranno da soli. Ne vedremo presto i risultati, perché Currado già da quest’anno inizierà a fare vino da tutti gli appezzamenti di Krause. Il campo dove Vietti in futuro potrebbe essere paragonato alla Borgogna è nella sua gamma di vini. Negli ultimi anni, Kyle Krause ha dimostrato un’ammirabile determinazione nell’ottenere quello che vuole. Sì, ha perso Arione, ma solo perché si è scontrato nell’unica persona che in Piemonte avrebbe potuto competere per quello specifico pezzo di terra. Difficilmente incontrerà ostacoli simili in futuro. Infine, gli investitori vogliono avere un profitto. Immagino che in avvenire Perbacco diventerà la versione ‘Bourgogne rouge’, il Barolo Castiglione il ‘villages’ ed una gamma di dieci o piu’ Barolo da singolo vigneto. Il Piemonte non è mai stato in grado di unire quantità con qualità, ma Krause ha i mezzi ed il team per poterlo fare. Uno dei vantaggi che il Piemonte ha nei confronti della Borgogna è che la produzione di singoli vigneti è molto più alta. A quel punto, il problema più grande rimarrà la vendita dei vini, ma Krause se ne può occupare. Successivamente può prendere l’irrobustito business Vietti, commericializzarlo globalmente e venderlo ad un grande fondo di investimento o multinazionale per multipli del prezzo originale. Non è uno scenario molto forzato. Chiunque dica “niente è cambiato“ è un’illuso. Tutto è cambiato. Per sempre. Questa vendita apre la porta a maggiori acquisizioni che faranno alzare i prezzi della terra ancora di più rendendo alla fine i vini più cari mentre si allargherà il divario tra i veri produttori artigianali di famiglia e le imprese con grossi capitali. Naturalmente parte della nuova prosperità potrebbe essere positiva se gestita correttamente. Oggi, però, il Piemonte mi pare un pò meno speciale di quello che è sempre stato.